Saving money can be all about timing and February always has better deal on some things than others. Here are the best things to buy in February! 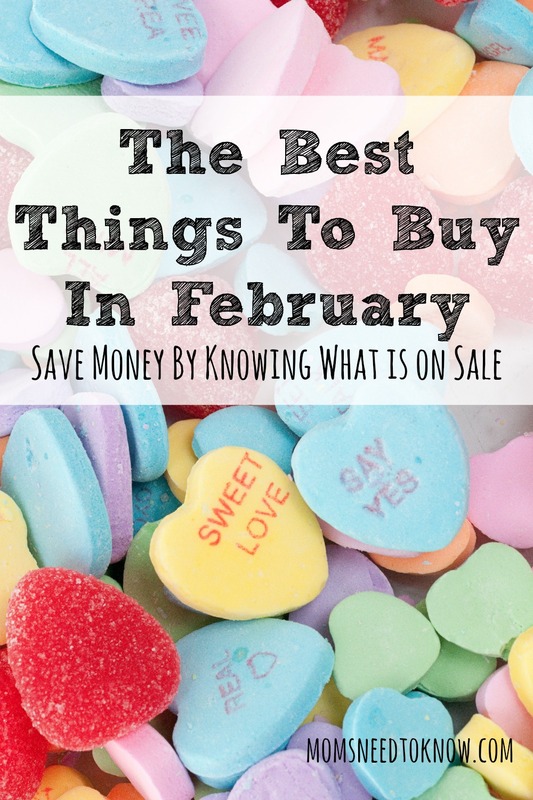 Knowing what to buy in February not only saves you money now, but will save you money in the future. If you want to save money, bundle up and score those deals! Here's what you need to buy in February to save the most money. Obviously, you always want to buy produce that's in season. Not only does this save you money, but it's also better for the environment. To really maximize your savings on these items, you are going to want to check out my my grocery and drug store coupon matchups as well as my coupon database! 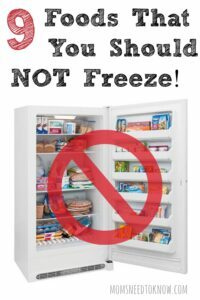 Freezing seasonal produce can be a great way to maximize your savings, but here are some foods that you should NOT freeze! Here's what to buy in February when it comes to produce: artichokes, asparagus, broccoli, carrots, cauliflower, celery, chard, collards, grapefruit, kale, oranges, parsnips, pears, potatoes, and turnips. While you're at the grocery store, you'll also want to look for deals on hot breakfast items and canned foods. February is both National Hot Breakfast Month and National Canned Food Month. This means you can save big on these items. You also want to make sure to stock up on cold and flu medication. There's not only sales, but you can also find lots of coupons. 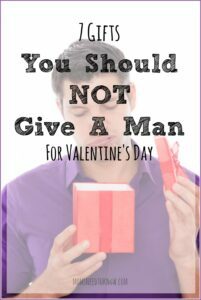 Before you try to pick a gift for your guy, here are the things you should NOT buy him! Of course, we all know what February is really about – Valentine's Day. This means you'll find tons of sales on everything from boxed candy to décor to personal romance items (condoms, lubricant, etc). With that said, remember to stock up on décor, bags, and candy after Valentine's Day to save for next year! Yes, it's the dead of winter, but stores need to make space for spring clothing. This means that you'll find a lot of awesome deals on winter clothing and gear. Coats, winter boots, scarves, sweatpants, etc will all be discounted. You will also see amazing deals on football apparel during the playoffs (especially if your team didn't make it) and after the Super Bowl. Out with the old and in with the new. During the month of January, new products are unveiled and stores need to make room for them. This means you can get amazing deals on last year's models. This allows you to save hundreds off the original price. Looking for a fun February recipe? 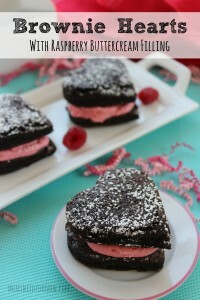 Try these brownie hearts with buttercream frosting! During the President's Day sales, you can score some awesome deals on everything from mattresses to cars. Keep your eyes peeled, especially if you're in need of a big ticket item. This can be a great time to save. Whether you want to stock your closet with great clothes or buy a new TV, February is a great month to go shopping. When you know what to buy in February, you can save so much money.